Could Brangelina really be marrying on The Queen’s favourite ship? Home/Cruise Gossip/Could Brangelina really be marrying on The Queen’s favourite ship? Touted only this week as “the world’s poshest holiday,” Hebridean Princess has been chartered twice by The Queen – but is the ship good enough for Hollywood royalty? According to reports today Brad Pitt and Angelina Jolie are planning to charter the vessel – a converted car ferry – for a summer wedding in the Scottish islands. The Sun says that the couple’s 11-year-old adopted son, Maddox, came up with the idea as an alternative to the French chateau they were originally planning to use for the long-awaited ceremony. If they chose to follow our own Royal Family on board – the Queen has had two summer holidays on the ship – a charter would cost about £300,000 and they would be able to bring along almost 50 friends and family. Now I don’t want to be a spoilsport and rain on the wedding parade, but there might be just one small problem. Hebridean Princess is registered in Great Britain, and under English law at least, could not legally host a wedding ceremony. It was for exactly that reason that Cunard changed the registration of its ships to the Bermuda. There are still rules and regulations north of the Border – the days of eloping to Gretna Green are long gone. The General Register Office for Scotland requires at least 15 days notice. Its guidance notes also insist that civil ceremonies may only be performed at one of its list of “approved places.” The Hebridean Princess does not figure in that list. There is possibly some hope for Brangelina, although the advice I have received from two sources is conflicting. A Scottish minister or clergyman may be able to conduct a ceremony anywhere in the country. Legislation in force since 2007 has permitted weddings to be held on ships in Scottish waters. The official guidance for couples reads: “Religious ceremonies may be conducted at any time and in any place in Scotland so long as you can get an authorised religious celebrant to attend and officiate. Discreet as ever, Ken Charleson, Hebridean Island Cruises’ chief operating officer, is saying nothing. If the deal comes off, it will be welcome news for Hebridean’s owners, All Leisure Group, who today warned they were facing unexpected costs of more than £3 million. The company’s Voyager ship, operated by Voyages of Discovery, suffered problems with its generators in May. 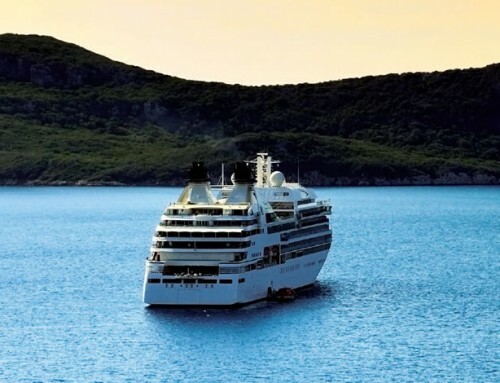 Repairs and compensation for cancelled cruises are expected to run up a bill of £1.6 million. Its Discover Egypt programme of Nile cruises has been cancelled following unrest in the country, at a cost of another £1.5 million. So come on, Brangelina. Do your bit for Scotland and Hebridean Princess. It’s alright for some, John!